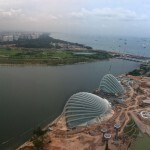 Singapore | Christoph Bartneck, Ph.D. I am visiting Singapore to learn about the CUTE lab, but also to meet with Martin Saerbeck. He showed me around this amazing city, including the ship in the sky. 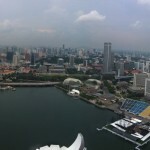 From up there, I took some panoramas with my iPhone.